Same as cancer, heart disease, and all other human illnesses, the chances that a person may develop osteoporosis depend on the interaction between one's predisposing factors, such as the DNA we carry and the environment we live in. The list below is the closest to an osteoporosis crystal ball we presently have. White individuals, as well as Asians, have substantially higher chances for age-related bone loss than African-Americans, who seem to have a built in protection against osteoporosis. This is probably the result of their particular genetic makeup, not the skin color itself. While the body needs sunlight for the manufacture of vitamin D, tanning does not confer any protection against bone loss. Bone mass is particularly sensitive to one's weight: the lighter the person, the more likely the bones are to weaken with age. As a natural response of the skeleton to the effects of gravity, the more weight one (reasonably) exerts on the bones, the stronger they become. Therefore, most obese people are better protected against age related bone loss, while painfully thin people or astronauts who are forced into long periods of weightlessness, may develop substantial bone mass reduction. Before you decide to abandon your diet in favor of a heavier frame, notice that obese people are much more likely to suffer from osteoarthritis of the hips and knees, not a great advantage over osteoporosis. Eating disorders such as bulimia and anorexia carry an even bigger risk to the bones than just being thin, since in addition to the unusually low body weight, these people also suffer from poor nutrition. The loss of electrolytes, calcium, protein, and other nutrients may permanently impair the body's strength, in particular when it occurs during an adolescent's growth period. The damaged skin, hair, and teeth found in girls who suffer from chronic eating disorders are nothing but a reflection of the damage to the internal organs of body induced by malnutrition, bones and muscles included, which is not as readily apparent to the eye. Scientist's newly acquired knowledge about the physiology of the body and its response to the force of earth's gravity has direct implications for the design of a fitness plan. For instance, a successful exercise program for posture improvement and osteoporosis prevention must include ways to safely increase the weight load to the spine and long bones, such as by carrying backpacks or weighted vests while walking; this triggers the body's response to strengthen the skeleton. Equally effective, resistive exercises that utilize barbells, elastic bands, and exercise machines can be used to add positive stress to the bones. The excessive and/or prolonged use of steroids of the kind used to treat inflammation has long been recognized as a cause of bone and muscle loss. One must not confuse these anti-inflammatory steroids with anabolic steroids, which are frequently misused by some athletes to enhance physical performance. Cortisone can be used orally, as in the treatment of arthritis and poison ivy, or injected in specific areas of the body such as the joints; it does eventually spread to the whole skeleton where it may cause osteoporosis, mainly in the spine. While occasional use of even high doses of cortisone is unlikely to cause medical problems in healthy people, chronic use can and does lead to osteoporosis, hypertension, diabetes, and a number of other ailments. It is recommended that people who must take regular doses of cortisone undergo studies such as bone density earlier and more frequently than their counterparts. There are several drugs in a pharmacological class called biphosphonates, used in the treatment of osteoporosis, which can also slow down the bone loss due to the use of steroids. Despite the many known health concerns regarding tobacco, a substantial segment of the population still uses it. Nicotine is one of the most addicting substances known, and many individuals, who are otherwise intelligent and knowledgeable about the negative health effects of tobacco continue to utilize it. The effects of smoking on the cardiovascular system have been well documented but so has its deleterious action on the musculoskeletal system. The chemicals in tobacco substantially affect collagen, one among the principal components that maintain the integrity of the body. 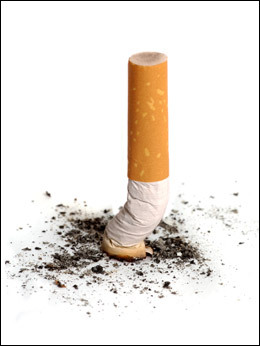 Smoking causes irreversible damage to the connective tissue that makes up the joints, ligaments, and muscles, easily witnessed in the premature wrinkling of the skin of smokers. Another proof of the damaging effect of smoking on bone integrity is found when testing the ability of bone fractures to heal: smokers are three times more likely to develop a non-union, a weakening of the bone due to incomplete welding of the fractured parts, which may require surgery to correct the subsequent pain and deformity of the limb. The ingestion of small amounts of alcohol, such as one glass of wine at dinner, appear to have a positive effect on the cardiovascular system, helping prevent heart attacks and reducing the incidence of strokes without a negative effect on bone metabolism. 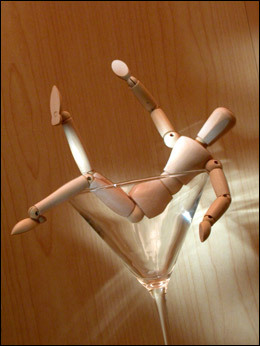 In fact, there is some evidence that drinking small amounts of alcohol may even reduce the incidence of osteoporosis. Large amounts of alcohol, however, are a major cause of osteoporosis not only for men, but also for women. Besides having a direct influence on bone function, high alcohol consumption has profound effects on the ability of the liver to metabolize certain chemicals, among them hormones, which are themselves fundamental for bone health. Chronic, excessive alcohol use carries another hidden danger for people already prone to osteoporosis, in the form of nerve damage to the lower extremities. This so called alcoholic peripheral neuropathy causes numbness in the feet and legs with consequent loss of balance, leading to frequent falls, thus greatly enhancing the chances for fractures. Several studies suggest that some carbonated drinks are a risk factor for osteoporosis. The gradual replacement of breakfast milk with diet sodas, which has taken place over the past few years, has been postulated as a possible cause of reduced bone mass in girls. The research, which centers mostly on cola drinks (the ones containing phosphoric acid) continues, and so does the debate. Theoretically, this chemical can alter the proper balance of calcium in the blood, leading to loss of bone strength. Until this issue is settled, it is recommended that the consumption of cola beverages be kept to a minimum. Inheritance is one of the strongest predicting factors for osteoporosis: if your mom has it, you too may get it. Open the old photo album and look at the pictures of your grandmother and other female relatives for clues of your own future. Don't assume a fatalistic attitude if your genetic background is not perfect; instead, be pro-active and pay attention to the other treatable risk factors, and insist on obtaining a baseline bone density from your doctor to use as future comparison. "Use it or lose it" applies to the strength of one's bones as much as it applies to muscles; any bone subjected to the stress of exercises responds by increasing its thickness. Even to the untrained eye, one can detect the effect of exercise on bone strength simply by looking at the dominant arm of a tennis player, thicker and denser than the opposite side. Inactivity rapidly induces loss of muscle and bone mass, as witnessed by anyone who ever had to wear a cast or by people subjected to long periods in bed due to illness. Immobility can be a catastrophic experience for older folks, who may never fully recover from an otherwise benign condition, because of the accelerated brittleness induced by protracted bed rest. Because of our improved understanding of musculo-skeletal physiology, the medical treatment of injuries and fractures has changed dramatically over the past twenty-five years. For example, much more emphasis has been placed on early rehabilitative exercises in cases of surgery or trauma. When patients with acute back pain were once told to refrain from walking and ambulating for several weeks to give the spine time to rest, we now push for early rehabilitation to avoid worsening of the symptoms due to the inevitable bone and muscle atrophy that results from inactivity. Our crystal ball suggests that the most likely person to develop osteoporosis is a white, thin, postmenopausal, non-exercising, smoking, cola-sipping, alcohol-drinking woman, with a positive family history. On the plus side, the only risk factor she can't do anything about is her genetic makeup.